... can't pay the bill because all they have with them are groats? ... spend five hours trying to redecorate the place, but in the end decide they like it how it is, but just want new ownership? ... start a fight over the drink Bloody Mary? ... And the Tudor Summit is born! The Tudor Summit. Ten talks spread out over two days featuring leading names in Tudor history. If you read blogs, books, or listen to podcasts about English history, I'd be willing to bet you've come across these names before. And it's all online, so there's no need to travel. And it's completely free! So why a Tudor Summit? Let me explain. Back in 2009 I started the Renaissance English History Podcast because I thought that podcasting would be a good thing to know. This was back when podcasting was very new, and there wasn't a lot in the way of history podcasts. I've had large gaps in my podcasting as life took over, but it's always been this constant in my life that I return to time and again, and it brings me such joy to connect with others who are enthusiasts about 16th century England. One thing I see is that those of us who are passionate about this time period are often passionate in our own little bubbles. We spend a lot of time in our books. We read a lot of blogs. And we voraciously listen to Melvyn Bragg postulate on In Our Time. One thing we don't spend a lot of time doing is talking to actual people. Alive ones. In real time. It's one of the paradoxes of history that while we study people, we are often so immersed in our books that we forget to talk to the ones who are still alive. History is, quite simply, a study of being alive. And I'm passionate about it because I believe it connects us more deeply to our own humanity. In studying history we grapple with the questions and passions that have followed humanity since it all began. Especially so in the 15th and 16th centuries. The parallels to our own world - new technologies making information dissemination possible, societal changes happening at breakneck speed, England's sovereignty compared with a central European authority, a religious refugee crisis - are unmistakable. The people who lived in Tudor England dealt with a lot of the same issues we do. So, given that I love people so much, it's amusing that I sometimes go days without talking to any. And so, the idea for the Tudor Summit hit me earlier this summer. 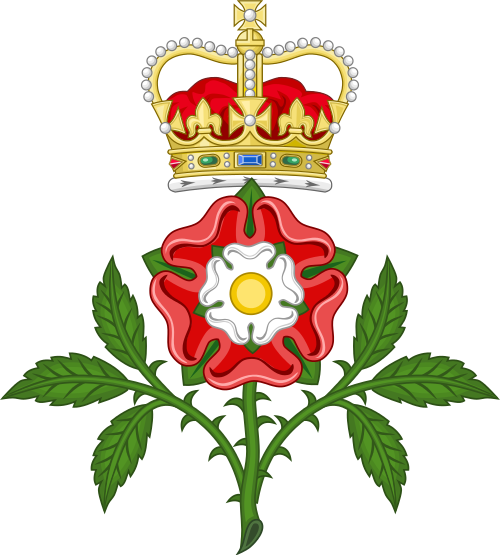 Bring together leading names in Tudor scholarship. Have them give talks. Get everyone connected in a group online. And everyone gets to learn and share together. Without the awkwardness of having to, you know, leave the house. I've seen gatherings like this in other areas. In my previous life as the Assistant Director for California's largest library consortium I created an online conference called The Edgy Librarian. I've attended online conferences on self publishing. But I haven't seen one on Tudor England. And so, I created that which I wanted to attend. The fun is this coming Sunday and Monday, the 3rd and 4th (it's a 3 day weekend in the US, hooray!) starting at 4pm in the UK with five talks each day. It all kicks off on Sunday at 4 UK time when Sarah Gristwood gives a keynote talk about Queenship in 16th century Europe. She's followed by Tony Riches talking about the earliest Tudors. 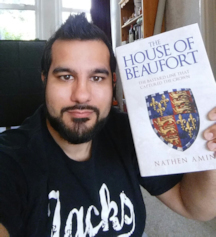 Nathen Amin from the Henry Tudor Society passionately debunks some Henry Tudor myths. 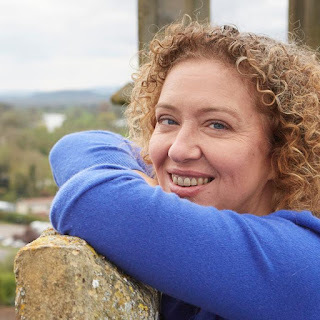 Melita Thomas from Tudor Times talks about Mary I, and James Boulton from the Queens of England Podcast walks us through the quick recap of the Six Wives. Monday the 5th, Natalie Grueninger from On the Tudor Trail takes us on a tour of Tudor London. I follow with a talk on Tudor church music, and Rebecca Larson from Tudors Dynasty talks about Royal Scandals. Then Gina Clark, a Tudor costumier talks about Tudor fashion, and Roland Hui, an art historian caps it off with a talk on Tudor portraits. The registration is completely free, and even if you can't attend live, register anyway - I'll be leaving the talks up for at least two weeks afterwards. For the speakers, it's a chance for us to get our work out in front of audiences who may not already know us. For the attendees, it's a chance to learn and share your passions with others. There have already been some great connections in the accompanying Facebook group, which I love seeing. Learn more, and sign up free at http://www.TudorSummit.com. See you in the Facebook group, and online on Sunday! 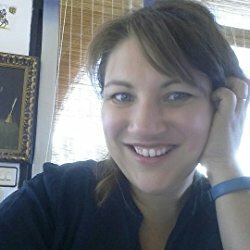 Heather Teysko is the creator of the Renaissance English History Podcast, the longest continuously running independent history podcast. She's also an author, and the creator of the Tudor Planner, a weekly diary filled with history, quotes, and music. Her gateway to Tudor history was through choral music, and she is passionate about William Byrd. She lives in Spain with her husband and 4 year old daughter where she writes, podcasts, and, in her spare time, butchers Pinterest crafts. 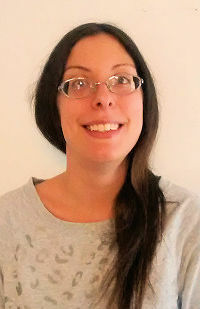 You can learn more about the podcast at http://www.Englandcast.com and find Heather on Twitter @teysko. How would you cope if you had to live someone else's life? 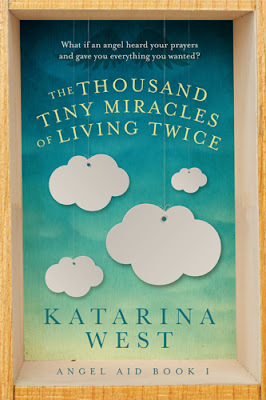 Once you've started this book you can't put it down, as the first novel in Katarina West's Angel Aid series has a special magic that holds you on its spell. With brilliantly observed characters in wonderful locations, this heartwarming fantasy keeps you guessing. Funny and poignant, the lives of two very different women become intertwined in an innovative twist on a familiar plot. I enjoyed Katarina's previous novel Absolute Truth, For Beginners and look forward to the next book in this series. Highly recommended. 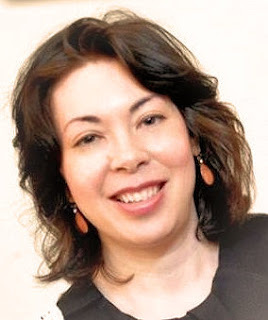 Katarina West was born in Helsinki, Finland, and studied at Queen Mary and Westfield College in London and the European University Institute in Florence, where she completed a PhD in political science. During those student years she started work as a journalist, and continued writing for various Finnish magazines and newspapers for over ten years, writing on various topics from current events and humanitarian issues to celebrity interviews and short stories. She also briefly worked as a university lecturer on humanitarian issues in Northern Italy. Katarina lives in an old farmhouse in Chianti with her husband and son. Find out more at Katerina's website katarinawest.com and find her on Facebook and Twitter @WestKatarina. loyally and lovingly, since a child? 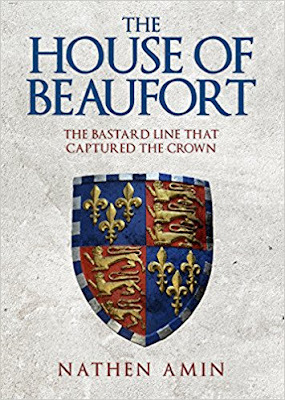 There’s been a lot of talk recently about historical fact and historical fiction, with writers from Hilary Mantel downwards getting in on the act. But I like to think I’ve taken the issue a step further - writing fact and fiction about the same person, at virtually the same time, with all the risk entailed of believing your own stories. 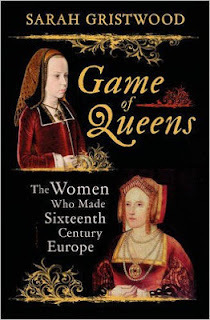 I wrote about Mary, Queen of Scots in Game of Queens, a non-fiction book about the women who made sixteenth-century Europe. But I had already some time before begun, and have since completed, a novel, The Queen’s Mary, about one of the four attendants famously known as the Four Marys. Question is - and Simon Sebag Montefiore said that he felt got closer to Stalin in his recent novel than in the non-fiction books he wrote about Stalin some years before - which would allow me to see her more clearly? I’ve never been a fan of Mary Stuart’s. 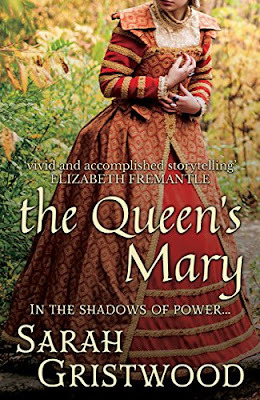 As a historically-minded, novel-reading teenager growing up in this country you’re either with Mary, or with her kinswoman and nemesis Elizabeth, and I’m an Elizabeth Tudor girl all the way. In Game of Queens, with its parade of competent, powerful women, Mary was in some ways an anomaly. The one who frankly made a mess of trying to rule her country - the one who got away. In The Queen’s Mary I had perhaps to see her more sympathetically. 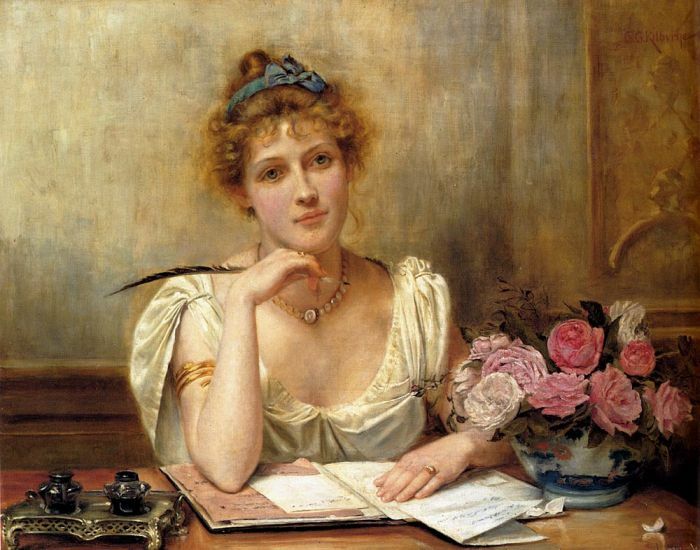 The novel was, after all, being written from the viewpoint of one of the girls who had grown up with her, loved her . . . even if love and hate can be closely allied, maybe. And yes, I think the experience of viewing her that way did help me better to appreciate the difficulties of a young woman (a girl!) who did at least make a determined stab at the impossible job of trying to rule her turbulent country. A number of novelists (well-trained historians, many of them) have described how they write fiction to find another way of exploring the truth - not to spin a total fantasy. What is legitimate in historical fiction? The short answer ‘anything!’ may be too easy. (Remember the fuss surrounding Hilary Mantel’s The Assassination of Margaret Thatcher, anybody?) Every writer makes there own deals, and I’ve certainly taken some liberties. But the public affairs, the politics - like the everyday details - had to be as accurate as I could make them. In my first novel, The Girl in the Mirror, I wrote about the relationship of Elizabeth I and the Earl of Essex, and again, it was vital for me to feel that if I had been writing it up in non-fiction, I would not have understood that relationship any differently. Hilary Mantel is one of those who says that: ‘You become a novelist so you can tell the truth.’ She adds: ‘I start to practice my trade at the point where the satisfactions of the original story break down.’ The reactions of the sixteenth-century Four Marys may have been very different from those I have imagined here. But they must have had reactions to the traumatic events going on around them - feelings which, because of the lack of records, cannot easily be explored in non-fiction history. Simon Sebag Montefiore rightly says that public history has to be presented in terms of known fact, or the characters who inhabit that world will fail to live. ‘The pillars of the cathedral must stand’. But opinions are divided as to what, if anything, you can change if it doesn’t suit your story. ‘Story’, after all, is the second syllable of ‘history’. And anyone who has studied, for example, the Wars of the Roses knows there is no single version of that history. The Queens Elizabeth and Mary have been seen very differently down the centuries Perhaps that’s what made me feel that of the two books I’d written, the one was as valid a way as the other of exploring the tumultuous events of Scotland’s 1560s. sarahgristwood.com and find her on Twitter @sarahgristwood. Like most people my earliest remembrances of creative writing were those endured at the school desk, born out of necessity rather than joy or foreboding. That situation soon changed when a keen eyed English teacher by the name of Mrs Wright (I tell you no lie) noticed a modicum of talent for poetry, prose and any other work that needed an unbridled imagination. I think I was as surprised as she was to have discovered this given that my handwriting looked like something only achievable by using a broken spirograph set. These wonky words were often emblazoned upon paper so creased it would make walnut blush. In spite of, or maybe because of these presentational dilemmas, she noticed something lurking in the undergrowth. That something was a kind of poetical empathy and deep appreciation for the natural and historical world around me. I was also fascinated by what lay behind these strange forces and events of yesteryear, for me the natural world was never more alive and the past never quite dead. 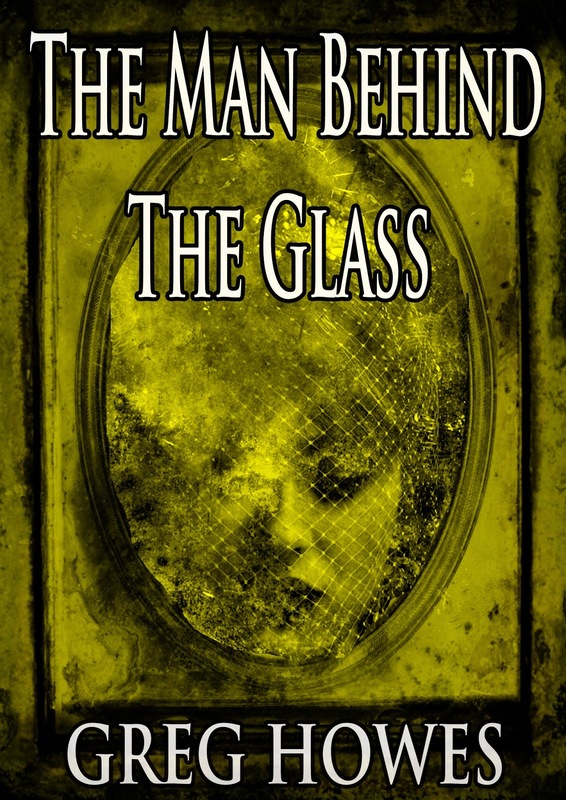 The credit for giving my Victorian mystery and suspense novel “The Man Behind the Glass” wings, lies predominantly at the feet of my mother Jennifer Howes. It was she who gave me the quest upon which my spark of an idea was struck. She asked each family member to write and recite a short eerie tale to be told around the fire-side the night before Christmas. Little did I know at the time that the spark was going to turn into a blaze; a blaze of ideas that fed off all of my knowledge of Victorian London and a lifetime of inspiration. At the point of the story’s conception, I had been working as an historical researcher (for TV, radio and private clients) for fifteen years. More often than not those studies took me back to the nineteenth century and the murky waters of Dickensian London (and Britain as a whole). I was already quite familiar with the heart and the history of the city as my grandparents lived close to its core. My Irish born grandfather was an inspirational enthusiast of London, taking great pains to walk me around all of the obvious places of interest, as well as the not so obvious. 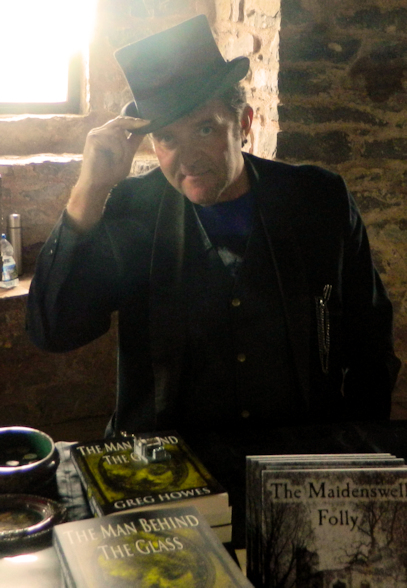 Greg Howes is a genealogist, writer and historical researcher based in Pembroke, South West Wales. Greg’s work as a researcher has seen him present (and research for) family history programmes on television for both the BBC and ITV channels. He has taught family history (and horticulture, in his younger days) and featured on national and local radio stations answering questions and giving advice on family history and the historical landscape. He has written many articles for magazines on subjects as diverse as local history, dating and archiving old photographs, and the history of woodland and ancient trees in the landscape. Greg’s other great passion is photographic art and design. He has recently released a book featuring some of his work entitled, The Dark Room, which includes fifty (mainly) black and white images of his designs. His other pastimes include walking, watching motorcycle speedway and reading. 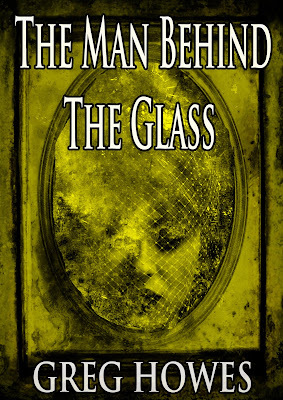 You can find out more at Greg's website http://themanbehindtheglass.co.uk/ and find him on Facebook. for the family he lost. My desk is set up in the sitting area of our house, right next to the living room, so when I’m home I usually write there. From what I understand, my writing process is much different than a lot of other authors I know, at least in the beginning. After I’ve thought of an idea for a novel I write out the general summary, usually only a paragraph. Then I expand it, making it three paragraphs. This gives me the summary of the entire plot, beginning, middle and end. 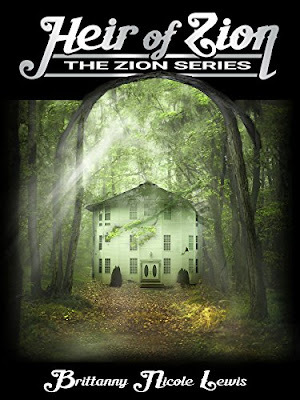 I prefer to read shorter novels and since most of my readers prefer this as well, this is what I write. My books are usually between 40,000-60,000 words and normally have 20-25 chapters. I estimate that I want around 20 chapters in my book with each chapter being 2,000-3,000 words. After that, I break the chapter down into scenes. I only use a few words to summarize a scene and I do this in list format, that way if I need to go to a doctor’s appointment or I know I’ll be somewhere where I’m waiting in line etc, I can jot down those few words on what the scene is about and write it while I’m out. I’ve actually written a lot of my work by texting it to myself while I’m out and then typing it later. When I’ve gotten about half of my first draft done I send it out chapter by chapter to my first beta reader. She reads each chapter and makes corrections. After those corrections are made I send it to my second beta reader and do the same thing. Then the third draft goes to my editor. I normally start writing another book the day after I finish my rough draft. I’m a stay at home mom of two young kinds (seven and two) so right now I write whenever I have the time. I try to spend a total of 2-3 hours per week writing, sometimes more. Honestly, I spend the most of my time marketing. 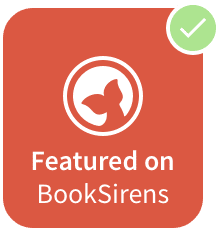 Wales, 1069: Alis doesn’t like life on the farm, but things get worse when her father fails to pay the rent. When he is thrown in jail by Lord de Braose, a Norman who wants the land for profit, Alis takes a tavern job in Abergavenny town and vows to never forgive her father or de Braose. There, she meets handsome Reese de Saint-Jean and becomes a housekeeper on his estate. When Reese makes an enemy of Lord de Braose, he is sent overseas in response. Too in love to be parted, Alis finds a way to join him. 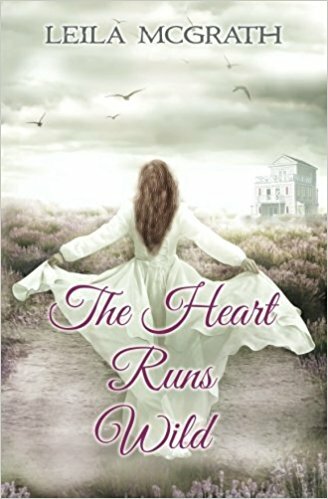 What transpires changes their lives forever, and teaches Alis that she will never find peace unless she learns to forgive. daunting sea cliffs of Ireland. I have been writing stories and poems since Fifth Grade, but turned to my true love, novels, seven years ago. It has proven to be a harder course than I imagined! There’s this myth that writers can just sit down and write a story. I began learning the hard way how to piece together plots (and how not to), with nice resolutions at the end, as well as interesting characters that interact well together. It’s difficult to be a writer in today’s world, and just as difficult making a living at it. But when your passion is storytelling, you find all the love you need to continue. Though my books are currently Irish medieval historical romance, I have scads of other ideas for the future. 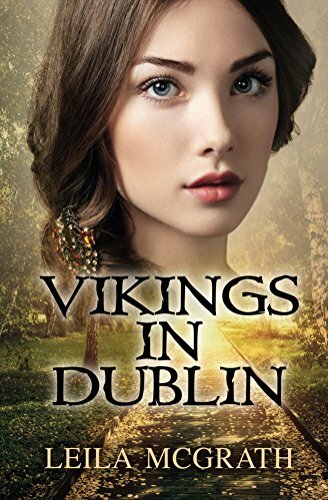 My first book, Vikings in Dublin is based on a true event, as this book is. My list of ideas (including upcoming novels about smugglers and plague) was inspired by a visit to Ireland four years ago. The magic, music, and people of Ireland took me by surprise. I’ve been there three times now! There’s no place like it on earth. Learning its history, I was fascinated that many stories are little known. Its history stems back to ancient civilization, with structures and mummies older than the pyramids. So we should be writing this down! I’m only thankful to soon be celebrating The Heart Runs Wild with my first trip to Wales and England, as well. Looking forward to more inspiration to come! My first book was inspired by an accidental visit to Christ Church Cathedral in Dublin. The tour was supposed to include Dublin Castle, but it was under construction. When I stepped into the cathedral and felt the medieval tiles under my feet, as well as Strongbow’s grave and an underground crypt, I was mesmerized that something could be so old, originally built by Vikings. That’s when I did a little research and discovered that the Vikings had a history in Ireland, and that the Irish of the ninth century were actually able to get them out. My inspiration stems from feeling the importance of sharing not only my heritage, but that of millions of people across the globe. These were our ancestors! Our heroes. I can only hope that, by magnifying the lives of people with unspeakable courage, we will encourage even greater heroism today. 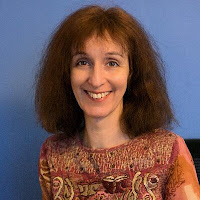 Leila McGrath is a piano and voice teacher from New York who has written short stories and historical articles since the Fifth Grade. Now she's turning her attention to her true love: novels. When not writing, she enjoys travel (particularly to Ireland) the latest great restaurant, or a big bowl of ice cream, while listening to her Spanish Timbrado canary sing for all he's worth. Follow her on Instagram, Facebook and Twitter @writeluv. 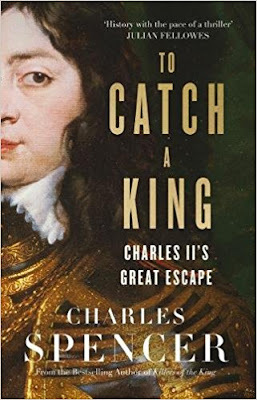 Earl Spencer’s latest history book, ‘TO CATCH A KING’, will be published by Harper Collins on 5 October this year. The companion piece to ‘KILLERS OF THE KING’ Earl Spencer’s (he writes as “Charles Spencer”) ‘Sunday Times‘ bestseller from 2014. A personally signed and dedicated to you (or your friend or family member?) by Earl Spencer, will be sent as close to the 5 October publication date as possible. The Rt Hon The Earl Spencer is a British nobleman, peer, author, print journalist, broadcaster, and the younger brother of Diana, Princess of Wales. Through his sister, Charles Spencer is the maternal uncle of Prince William, Duke of Cambridge and Prince Harry, and the great-uncle of Prince George and Princess Charlotte of Cambridge. You can follow the author on Twitter @cspencer1508 and @cspencerbooks_. 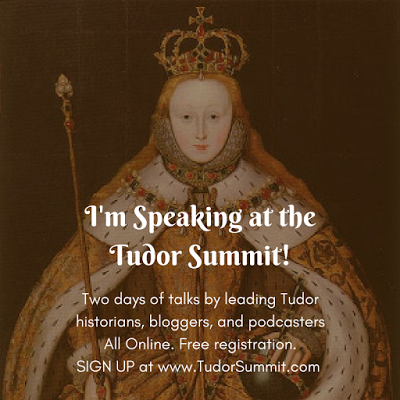 The Tudor Summit will be hosted on 3rd and 4th September, and you are all invited to attend from the comfort of your own home! This two day online event brings together Tudor history enthusiasts from all over the world to connect with each other, and listen to interviews and lectures from some of the leading Tudor History historians, bloggers, and podcasters. With lecture topics ranging from Tudor portraiture, fashion, and music; to Henry's wives, and Mary's relationships with them, we have a jam packed, and engaging agenda! The event will be broadcast live on September 3 and 4, starting at 4pm UK time, and registration is free to attend live! 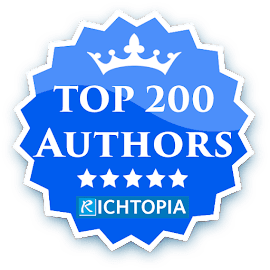 Special Guest Post by Dave Chesson: Book Copyright - A Matter Of Life And Death? Book Copyright - A Matter Of Life And Death? Just as those who don’t learn history are doomed to repeat it, writers who don’t learn from the mistakes of others are doomed to repeat them. One of the most valuable sources of information when I started out writing was the advice and ideas of others writers. 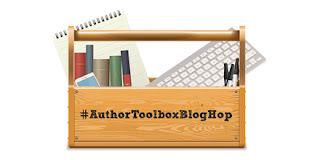 Whether in-person or online, I gladly sought lessons to inform my own writing career. Naturally, I still made my fair share of mistakes along the way. One of the most serious was failing to understand the importance of copyright. Whereas most writing mistakes are a matter of style and technique, copyright is something with potentially serious financial implications. We’ll now explore a brief history of copyright before looking at how you can protect your own work as a writer. Have you heard the story of St. Columba and St. Finian? St. Columba was a studious monk who borrowed and copied a Bible from St. Finian without having the proper permission to do so. Of course, ‘copy’ in this era literally meant transcribing by hand. In spite of the painstaking work of St. Columba, motivated not by financial gain but a desire to share with others, St. Finian demanded that the copy created be handed over to him, as he owned the rights to the original. The High King of Ireland heard both sides of the story and sided with St. Finian. 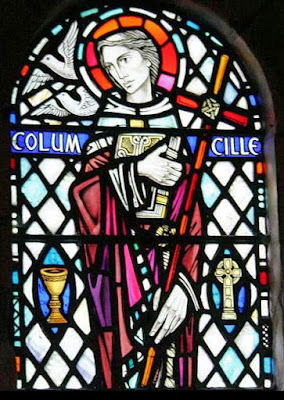 Despite St. Columba’s protests that no harm had resulted from his copying of the book, the King ruled that St. Finian owned the right to the copy as he owned the original. This was the start of a chain of events which led to the Battle of Cul Dreimhne, the death of 3000 people, and the exile of St. Columba. While book copyright in this day and age is unlikely to lead to war and exile, it’s still a serious matter worthy of your attention. If you fail to protect your book properly, you will have a far tougher time if someone plagiarizes your work and sells it on as their own. You will also struggle if a modern day St. Columba decides to share your work freely with others, even if it isn’t for financial gain. So how exactly do you copyright your work? Thankfully, it’s fairly simple, and there are a few options at your disposal. These two elements vary in complexity but are legally valid even in a very simple form. At its most basic, your statement of copyright should include either the word copyright itself or the copyright symbol, the year in which your book is published and your name or the name that is valid for copyright purposes. For example, ‘Copyright 2017 Joe Jones’ is a valid copyright statement. You can use a pen name or company name in lieu of your real name if it is more appropriate to do so. To state all rights reserved can be as simple as writing “All Rights Reserved”. You will sometimes come across more complex statements expanding on this basic concept and explicitly stating various rights, but this is by no means necessary. The above is all that you need for your book’s copyright page to be legally valid. However, you will often see other, optional elements listed, which we’ll now explore. 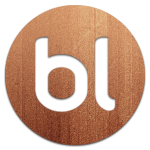 Legal advice related to trademarks and disclaimers is outside of the scope of this article so you should seek qualified, specialist advice if you need to in these areas. Whether or not you need an ISBN for your work depends upon a number of factors. If you use a service such as Createspace, you will automatically be given an ISBN. If you wish to purchase an ISBN yourself, you can do so here. Putting hours of effort into researching and writing a book is no small labour. Your work therefore deserves to be protected in the best way possible. By following the advice found here, you can ensure that your book is legally protected should the worst happen and someone plagiarizes you. If you have any other historical anecdotes about book copyright, I’d love to hear them in the comments. Also feel free to share any personal stories or experiences you have had with copyrighting your work. 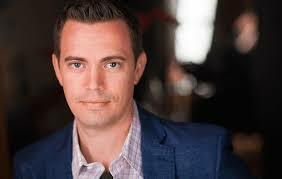 Dave Chesson is a master Jedi at book marketing and the author of Kindlepreneur. To succeed in today’s competitive kindle business, you need to be part writer and part marketer. His website on self-publishing is devoted to helping you with the latter. Find out more at Kindlepreneur.com and find Dave on Facebook and Twitter @DaveChesson. The odd thing about grammar and punctuation rules is that they are a bit of a moveable feast. Some change depending on whether you’re using US or UK English and others are flexible depending on context, style and genre. Sounds like a can of worms, if you ask me. But let’s dive in and try and make some sense of it all. First, I’d like to select the three rules that I see authors breaking most often. These ones are non-negotiable. The easy way to remember correct use of it’s and its is to say ‘it is’ whenever you come across either version. If the sentence makes sense when you say ‘it is’ then the correct term is it’s. There’s no need for the capital when you’re referring to ‘my mum’ or ‘your dad’. Usually if you can substitute the name for the word ‘mum’ or ‘dad’ then you need a capital letter. Present tense: I lie down on the grass and look up at the trees. Past tense: Yesterday, I lay down on the grass and looked up at the trees. Past perfect: Years later I recalled how I had lain down on the grass and looked up at the trees. 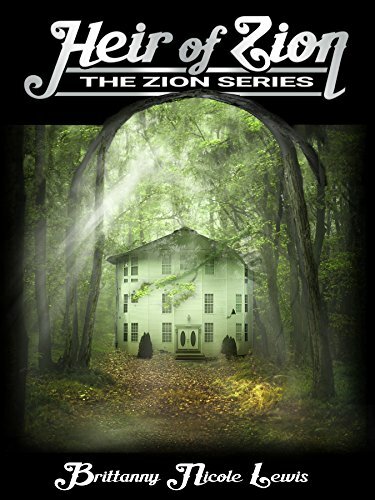 Present tense: As I look up at the trees, I lay my book to one side. Past tense: As I looked up at the trees, I laid my book to one side. Past perfect: Years later I recalled how I had laid my book to one side. So, the above are non-negotiable. Now let’s have a look at some of the ones that I think are negotiable. When I was taught English grammar at school back in the 1970s, the rule was that a hyphen was required in ‘the nineteenth-century monument’, but not in ‘the monument dated from the nineteenth century’. These days, if the meaning is clear and the piece of writing isn’t formal, omitting the hyphen isn’t the sin it once was. However, please note, a hyphen isn’t needed in phrases that contain adverbs that end ‘-ly’. For example, ‘a happily married couple’ and ‘newly made road’. Some people get very hot under the collar about the comma splice. The rule is that a comma by itself shouldn’t be used to join two main clauses. For example, ‘I enjoy reading, I always have my nose in a book.’ This can be corrected by splitting it into two sentences or by adding a conjunction such as ‘and’ or ‘so’. The comma splice is something I’m actually quite partial to. I rather like the rhythm it can give to a sentence. If you’re not sure whether to use ‘that’ or ‘which’ in a sentence, the basic rule is as follows: ‘that’ is used when a clause is integral to the sentence, and ‘which’ is used when the sentence would still make sense without the clause. However, there is wiggle room, especially when you’re writing in an informal style and when writing dialogue. The same goes for ‘who’ and ‘whom’. I cringe a little when I hear characters say ‘whom’ in everyday speech. The basic rule is that you use ‘who’ when you’re referring to the subject of a sentence and ‘whom’ when referring to the object. The correct answer for Test 1 is ‘who’ because the teacher is the subject of the sentence. Who did the teacher praise? Whom did the teacher praise? The correct answer for Test 2 is ‘whom’ because the teacher is doing the praising, so the ‘whom’ is referring to the object in that sentence. I love the substitution test that many people refer to, which runs: if the answer to the question is ‘he’ then you use ‘who’ and if the answer is ‘him’ then you use ‘whom’. So in Test 1, the answer would be, ‘He is my teacher’ and in Test 2, you’d answer, ‘The teacher praised him.’ A quick way to remember the substitution rule is that ‘him’ and ‘whom’ both end with ‘m’. If all that has whetted your appetite, and you don’t yet have a copy of a style guide, I suggest The Chicago Manual of Style for US English, and the New Oxford Style Manual for UK English. I recommend that authors learn the rules of punctuation and grammar and then choose to break them if and when they want or need to. If you have a logical or creative reason then I see no problem in breaking a rule or two. However, I think it’s important you have the confidence and professionalism to assure readers that you’re doing it on purpose and not in error.